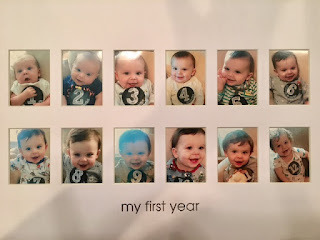 Shaz by the Sea: Potty Training Continues and Cal Turns ONE! 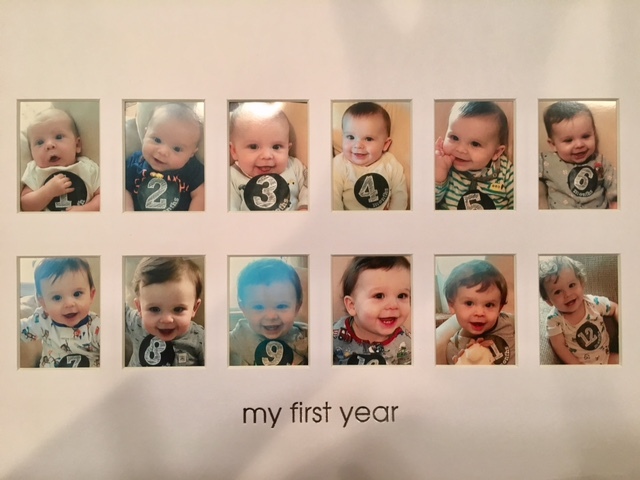 Potty Training Continues and Cal Turns ONE! We are making major strides over here with potty training. Both Conor and Caden are pretty much entirely potty trained with it comes to peeing on the potty - but number two is a bit more difficult. I couldnt be more thrilled with their progress - it seems a bit easy too which means they are very much ready. Our new bike helmets. The boys have been really enjoying their bikes lately, but we haven't been able to ride them far because we didn't have helmets for them. We went to Toys R Us last night and grabbed a few Thomas the Train ones and they like them! I like this pic, because they are all about age one, and wearing the same dinosaur PJs. On Cal's bday, I let Cal play in the puddles. He was the happiest I've ever seen him lol. Conor and Caden from 2015, 2016, and 2017 on the see saw at Auntie Kiki's pool! Cal's new favorite activity, walking around the house...and everywhere in between. 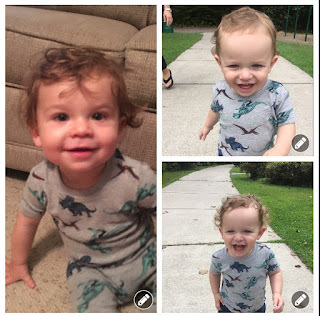 And Cal's first haircut...just days after turning one. Thanks, Jodie - he looks great! 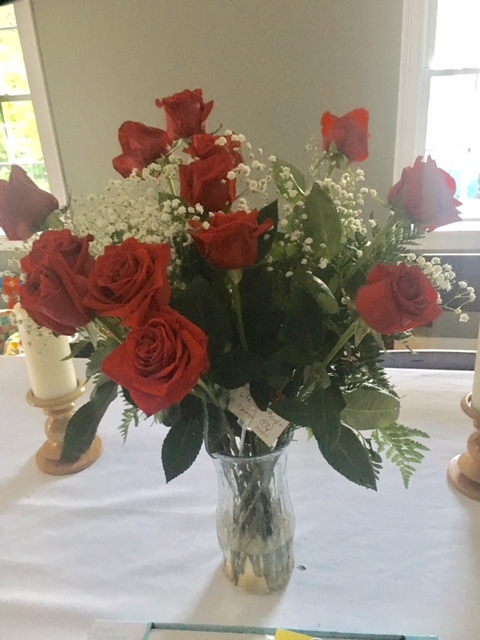 A few days back, Jim and I celebrated our seventh wedding anniversary. We were able to make it out for a bit. Lord Hobo has been a frequent stop lately - a free tasting room in Woburn. You cant go wrong with that! All for now! Enjoy the rest of the weekend. What a beautiful cool summer day.